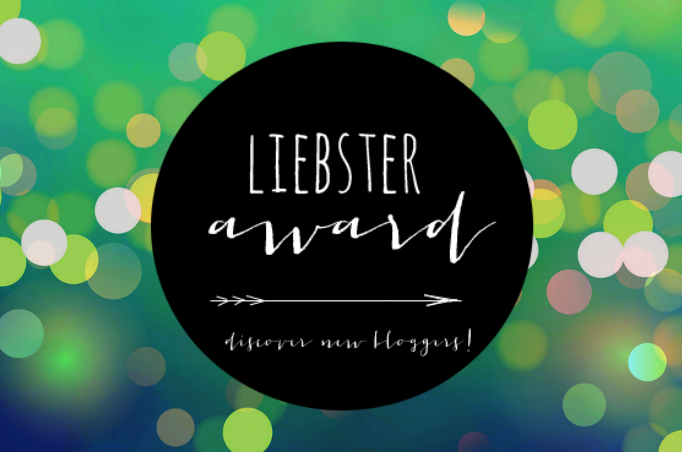 Sister Geeks has been nominated for our second Liebster Award by the incredibly talented and wonderfully geeky duo over at HusbandandHusband.net. Head on over to their site to see fantastic artwork, hysterical original comics, incredible reviews and all kinds of other terrific content. Thanks so much, Jonathan and Aaron, for becoming part of our community and letting us be part of yours. It’s a joy to geek out with you! 1. Where is your happiest place in the world? Jen P: A beach, lounging with an unlimited supply of mango mojitos. Jen P: Bun Bun–a disgusting gray rabbit that was white at one point but I can’t remember when. 3. What was the name of your first kiss? Jen P: My first kiss was some rando on a cruise. Maybe his name was Stephen?? 4. What Harry Potter character would you most likely be? Jen P: I’m like a flirty, wino version of Hermione. 5. What Disney film best describes you? Dani: The Little Mermaid. I’m all about some forbidden love. 6. If you were a superhero, who would you be? Dani: Wonder Woman. If you’re gonna be a female superhero, why not be the queen of them all? Dani: Harry Potter. No explanation needed. 8. What is your favorite magical being? Don’t be cute. Time to scoot. Head out to your destination. 10. Do you have any regrets? What is your biggest one? T. Mack: Yes. I didn’t do homework–any homework, ever–during 6th-12th grade. As a result, I got C’s instead of A’s. Opportunities were lost. 11. Name your favorite character of all time. T. Mack: King Arthur. He’s such a rich and intriguing character… in literature, movies, TV and as a real-life legend. I just love him! 2. What’s the best book you’ve read recently and what is one reason you liked it? 3. Was Hamlet crazy or faking it? 4. Name one villain (in any medium) that you’ve rooted for and tell us why you did. 9. What’s your stance on New Year’s resolutions? This entry was posted in Awards, Dani, Jen P, Other Stuff, T. Mack and tagged Liebster Award. Bookmark the permalink. Congrats on this award, loved all of your collective answers. Thanks! They are always so much fun to answer! I know, and it’s a great way to share more about yourself. Right you are. I have also learned at least one new thing about my sister geeks every time we’ve answered questions. In case you haven’t seen, I nominated you for an award. You rock! Thank you so much for the nomination. We’ll get our post up soon. I loved your answers to Kat’s questions and I can’t wait to post our answers to yours! I can’t wait to read your collective answers. Thanks for the nomination! So flattered 🙂 Love your questions. You’re very welcome. I really enjoy your insights on SPN. Aww, thanks 🙂 I just FINALLY managed to get my account sorted as well. Posts hadn’t been showing in the reader. So annoying. Well done on your own award! You’re so welcome! You’re blog is absolutely terrific! Thank you so much! It makes me really happy to hear that! I loved reading your answers to the questions. You guys are great. Your blog is fantastic. Thanks so much! We’re so pumped to be part of this blogging community!